We all know how divorce is portrayed in popular culture: a fierce battle that will likely drag on for years and may turn nasty. In reality, divorce is far more complex. Certainly, many divorces are quite contentious. However, there are many cases in which separating couples are able to work through difficult issues in a collaborative manner in order to produce an acceptable settlement. If you want to reach a fair, relatively painless divorce settlement with your partner, you need to be ready to negotiate. To help you get prepared, our experienced Orlando uncontested divorce attorney has put together a list of five important tips that you need to keep in mind before you sit down to negotiate a divorce settlement. Before you can effectively negotiate with your spouse, you need to have a clear view of what you actually want to get out of a divorce settlement. You should sit down and make a list of your own priorities. Carefully assess the things that matter to you. You need to figure out what is important to you, and what you are willing to compromise on. With this information in mind, you will be able to devise a workable strategy. Effective negotiation requires proper preparation. Lack of organization can lead to unfavorable results. You need to gather all of your financial documents and records. Far too many people try to reach a divorce settlement without an understanding of everything that is at stake. In many cases, divorce settlement negotiations are stalled by extremely minor issues. Your focus should always be on the big picture and on the most important issues. You do not want to get in a heated dispute over something trivial like tupperware. While that may sound silly, many divorce negotiations get caught up on small issues that neither party actually cares about. No matter how amicable your marital split, there will almost certainly be some raw emotions involved. This is both normal and understandable. That being said, emotions can sometimes hinder real progress. Your divorce settlement negotiations should be looking towards the future. You do not want to get stuck re-litigating a long-standing argument. Your divorce settlement negotiation is unlikely to produce a satisfying resolution to those types of emotional issues. Keep your eye on the future. You should not go through divorce settlement negotiations on your own. 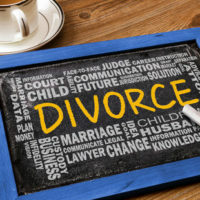 Whether you prefer to negotiate your divorce informally, or you want to consider going through divorce mediation or the collaborative divorce process, you should be represented by a skilled Orlando divorce lawyer. Your lawyer will help to facilitate a settlement, ensuring that your rights and interests are fully protected. At the Law Offices of Steve W. Marsee, P.A., our legal team has extensive experience negotiating uncontested divorces in Florida. To get immediate help with your case, please do not hesitate to call us today at 407-521-7171 for a confidential consultation. From our office in Orlando, we represent family law clients throughout Orange County, including in Apopka, Windermere, Ocoee, Edgewood, and Lake Buena Vista.